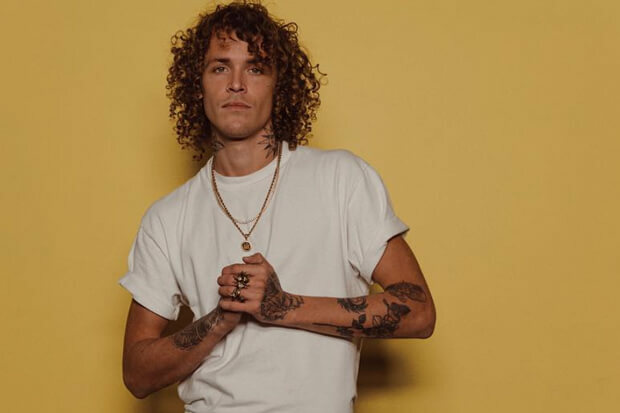 Cheat Codes’ Dahl Makes A Solo Debut With ”Think About Us"
It’s time to get better acquainted with Trevor Dahl of Cheat Codes. The Los Angeles-based trio have dominated charts and dance floors across the globe since launching in 2014. They broke into the Top 40 on the Billboard Hot 100 alongside Demi Lovato on “No Promises.” Meanwhile “Only You,” a collab with Little Mix, went Top 20 in the UK. Today (December 7), the curly-haired member announced plans to drop his first name and flex his creative muscles with a new side project. And he commemorated the news with his debut single, “Think About Us.” An instantly relatable breakup anthem, it should be very big. “You hit me with the unfollow. Now baby girl I feel hollow. Didn’t think I would care this much,” he admits on the self-penned and produced bop. Hopefully he plans to drop more music in the new year. In the meantime, I’ll be blasting “Think About Us” and Cheat Codes’ Kim Petras collab, “Feeling Of Falling,” on repeat. Get better acquainted with his solo material below!